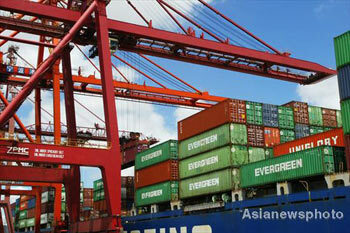 Editor's Note: The Chinese mainland-listed companies had released their annual reports by April 30. Chinanews.com.cn has found some interesting facts about these companies. Shanxi Guoyang New Energy will pay a generous dividend of 3.8 yuan plus 15 shares per 10 shares to its shareholders, after the company earned 1.86 billion yuan in 2009, according to the company's annual report released on May 1. Industry insiders say Guoyang is likely to become "king of dividends" in 2009 if no other company shows up with more generous dividend handout plans. China Shipping Container Lines posted a loss of nearly 6.5 billion yuan in 2009, becoming the company suffering the biggest loss in 2009. The company contributed the heavy loss to the financial crisis, which caused declines in consumption and further triggered a slump in shipping rates. Due to the fierce competition on domestic routes, the average rates on domestic routes also decreased by 33.9 percent year-on-year. 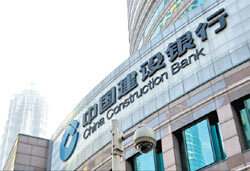 China Construction Bank is regarded as the company which got the nicest deal, as the bank said that it intends to raise as much as 75 billion yuan through a rights issue shortly after announcing its dividend handout plan to offer its shareholders 2.02 yuan per 10 shares. In a statement filed with the Shanghai Stock Exchange, the bank said it will sell 0.7 share per 10 shares held to all its shareholders and plans to sell up to 630 million Shanghai-listed A shares and up to 15.73 billion Hong Kong-listed H shares. Sichuan Youli Investment Holding announced corrections to its annual report. The difference between the money invested and the money planned to invest should be -102.64 million yuan, instead of -87.64 million yuan. The company explained that a staffer had input the wrong figure. Soyea Technology, a manufacturer of color television sets in east China's Zhejiang province, did not have any dividend plans for nine straight years. According to the company's annual report, its revenue reached 967 million yuan in 2009, up 13.52 percent year-on-year, and its net profits increased by 208.97 percent from the previous year, to 20.26 million yuan. Earnings per share stood at about 0.10 yuan, and the weighted average return on equity was 3.86 percent.